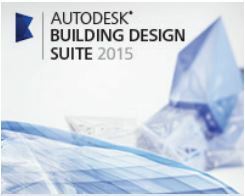 The Autodesk® Building Design Suite 2015 provides powerful software for building design and construction with even more data-driven design than before. Global BIM adoption is motivating architects, engineers, and construction professionals to move to a Building Information Modeling (BIM) workflow so that better decisions are made earlier in the design process preventing costly errors and material waste. Many features, interoperability and workflow solutions have been added. Let’s start with the overall Autodesk Building Design Suite updates and then we will move onto the products. The Autodesk Building Design Suite is offered in three editions allowing you to optimize your software for your needs: Standard, Premium, and Ultimate editions. We’ll go through each one, as each one builds on the previous. Autodesk AutoCAD Architecture software is the version of Autodesk® AutoCAD® software for architects. Architectural drafting and documentation is more efficient with the software’s intuitive environment and tools built specifically for architects. Experience greater productivity gains while learning new features at your own pace. Easily share and communicate designs with TrustedDWG™ technology. See the Autodesk site for all features labeled new. AutoCAD MEP software is the discipline-specific version of AutoCAD software for mechanical, electrical, and plumbing (MEP) designers and drafters. AutoCAD MEP automates tedious drafting tasks, enabling designers and drafters to create more accurate construction documentation faster. Sharing, collaborating, and coordinating with architects, structural engineers, and contractors is easier using the software’s reliable, widely used authentic, reliable DWG™ technology. To learn more, visit the Autodesk page for AutoCAD MEP. Autodesk AutoCAD Structural Detailing software helps structural engineers, detailers and fabricators create more precise detailing and fabrication shop drawings. Built on the familiar Autodesk® AutoCAD® software platform, it’s structural engineering software for steel and concrete structures. We haven’t found recent updates for this one yet, but will update you as we find out more. Click to watch the ReCap 2015 Overview on YouTube. To see all the details, read the details in “What’s New in Autodesk 3ds Max?” posted by the AREA, the site for Autodesk visualization and animation. The Ultimate edition of the Autodesk Building Design Suite includes the Premium solutions, plus a few more to increase with your businesses growth and design needs. Instead of Navisworks Simulate, the Ultimate has Navisworks Manage that has additional capabilities that Simulate does not. Robot Structural Analysis Professional allows you to more quickly perform simulation and analysis of a variety of structures. Autodesk® InfraWorks™ has only been around for a couple years and has already been transforming civil infrastructure design processes. Manage larger-scale infrastructure models created from existing data sources and generate proposals and early design concepts more effectively in the context of the built environment. Rapidly generate data-rich proposals to better predict how design alternatives may perform in the existing environment. That is a pretty long overview and it is not complete. You can also learn more about Autodesk Subscription (which has grown) and relevant posts about the individual tools below. Do you have questions? Contact us by phone (800.836.5440) or email. We look forward to helping you stay ahead with your Autodesk solutions.